When it is done, I will provide actual pictures. My friend and building budding put this mock up together. I read your SunWeb blog. What are your thoughts on nuclear power, including fusion and fission power? As for fusion, it has been ten years away - for decades. 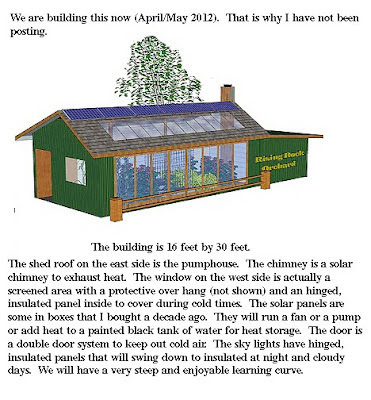 The best place for fusion is on the sun and the best way to use it is photosynthesis and passive solar. In other words, the sun provides energy through plant foods, animal foods, animal power, wood, some biomass, windmills (non electric) and well-designed structures. There are four major reasons that I don’t support nuclear fission power now or in our future. The first is simply, nuclear fission would not exist without fossil fuels. I mean the research, experimentation, testing, construction, maintenance, storage and decommissioning. It is an extension of the fossil fuel supply system. Both the economy and fossil fuel energy availability and cost will challenge present reactors. Without fossil fuels, nuclear power stations will not be built and will represent a serious danger over and above the danger the waste currently presents. The danger of waste is the second reason. The thousands of years required to allow some of the waste to become non-toxic requires a stability in the world of which history shows no evidence. 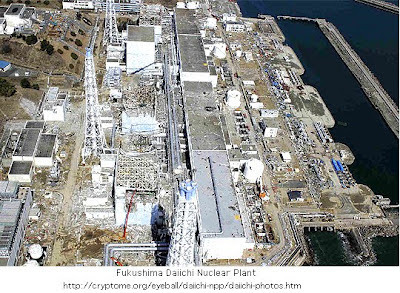 se nuclear utility liability or would be covered by the federal government. At the time of the Act's passing, it was considered necessary as an incentive for the private production of nuclear power — this was because electric utilities viewed the available liability coverage (only $60 million) as inadequate. Nuclear operators are not liable for the entire costs of their own nuclear accidents, and the financial burden for this risk is inappropriately transferred to taxpayers. Since corporations under Price- Anderson are only responsible for around two percent of the estimated cost of a serious accident, nuclear power corporations can largely ignore (from a financial perspective) the dangers that reactors impose on American communities. : how Congress made nuclear power financially viable in the U.S. by eliminating accountability for risk. 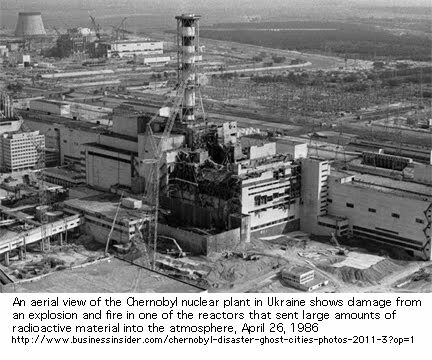 Chernobyl and Fukushima speak for themselves as the third reason. They are the Black Swans (Nassim Nicholas Taleb) we can perhaps imagine, but not predict. One was direct human error; one was natural catastrophe with of course indirect human error. How many more? These are some of the unintended consequences of nuclear. Each of the above are premium and primary reasons why I do not support nuclear power; however, there is a fourth that is truly my main reason. We humans, as a group and as most individuals, are not smart enough, wise enough, moral enough or mature enough to handle such power. All technology carries with it the unintended consequences mentioned above. We rush blindly into technological innovation because it will make life “easier”, it will immensely benefit some economically and we simply can not predict the complex effects. Dillworth, Craig. 2010. Too Smart for Our Own Good. Cambridge Univ. London. McCorriston, J. & Hole, F. 1991. “The Ecology of Seasonal Stress and Origins of Agriculture in the Near East.” American Anthropologist. V. 93. p. 46-49. There is also the continued tendency of power technologies to be more centralized, demanding more draconian control measures and creating a dependency that makes humans beholden to the power distribution brokers. I find this an unhealthy trend. Our human tendency of creating US-against-THEM thinking to strengthen our sense of identity and belonging adds a dangerous component to all potential technologies of such intrinsic power. Eller, Jack. 2006. Violence and Culture. Thomson. Canada. Eller, Jack David. 2010. Cruel Creed, Virtuous Violence. Prometheus. N.Y.
Avalos, Hector. 2005. Fighting Words. Prometheus. New York. Berreby, David. 2005. Us and them : understanding your tribal mind. New York : Little, Brown and Co.
Cumpsty, John. 1991. Religion As Belonging. University Press of America. N.Y.
Docker, John. 2008. The Origins of Violence: Religion, History and Genocide. University of New South Wales. Kiernan, Ben. 2007. Blood and Soil: A World History of Genocide and Extermination from Sparta to Darfur. Yale Univ. New Haven. Rozenblit, Bruce. 2008. Us against them : how tribalism affects the way we think. Kansas City, MO : Transcendent Publications. Volkan, Vamik. 2004. Blind Trust. Pitchstone. Virginia. Wellman, James. 2007. Belief and Bloodshed. Rowman and Little. N.Y.
Wentz, Richard. 1993. Why People Do Bad Things in the Name of Religion. Mercer University Press. Georgia. It is clear to me sustainability is a living process and a process of living. Nuclear does not fit this process. A Bang and a Whimper. Lived off the grid for over 30 years making my own electricity from sun and wind.. Am most concerned about the psychological impact of the culture shock coming down the pike.